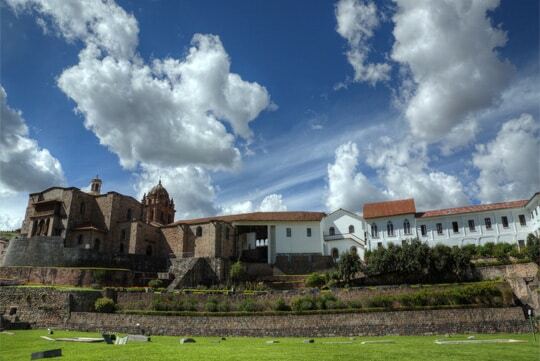 Discover the magic and beauty of Cusco, the capital of the Incan Empire. Visit the Temple of the Sun, the Convent of Santo Domingo and the famous Cusco Cathedral with its cuzqueñan paintings and 4 major Inca sites including, Sacsayhuaman, Qenko, Puca Pucara and Tambomachay. You can also combine the Classic Cusco City Tour perfectly with any of our Inca Trail treks. This Classic Cusco city Tour just takes 4 hours excursion and is a great way to combine leisure time with culture and history in only one day. In the beginning we will pick you up from your hotel between 1:00 to 1:30pm. 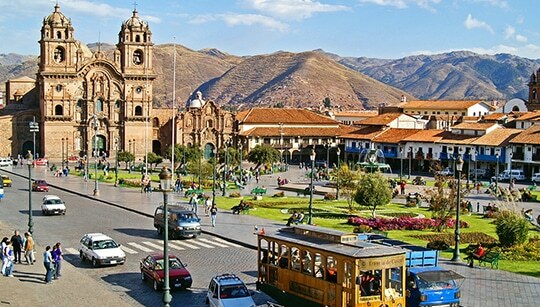 Our tour will start at the Main Square of Cusco, the Plaza de Armas. You will enter the Cathedral of Cusco and you will see the beautiful woodwork and colonial paintings containing extensive Incan iconography. Furthermore, we will visit Korikancha (the Temple of the Sun) on which the Spaniards built the Santo Domingo convent. The legend says this temple was completely coated in gold. Therefore, upon their arrival, the conquerors were very impressed by seeing this and got even more greedy. From Cusco, you will ride up the mountains for approximately 10 minutes to visit the nearby archeological sites. 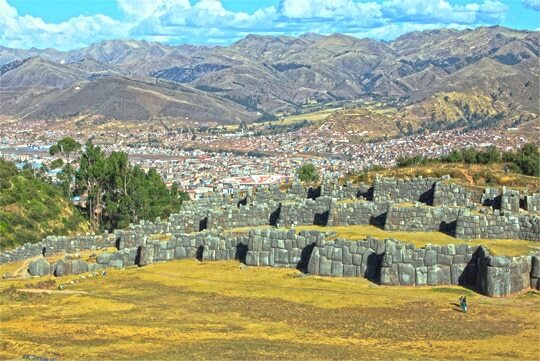 Continue on to the famous park of Sacsayhuaman where you can enjoy a wonderful panoramic view of Cusco. Sacsayhuaman boasts impressive Incan design and artwork with massive stones over 9 meters (30 feet) tall and weighting up to 125 tons. Next, we will visit Qenqo, the old temple of the Puma. Inside you can see a sacrificial altar made of a huge stone. According to the chronics, this place was a holy place to mummify just very important people from the royalty after they passed away. The journey will lead us to Tambomachay, the temple of the water. You will see the sacred fountains of life and health. Finally we will visit the last of the four most important inca sites around Cusco, Puca Pucara. 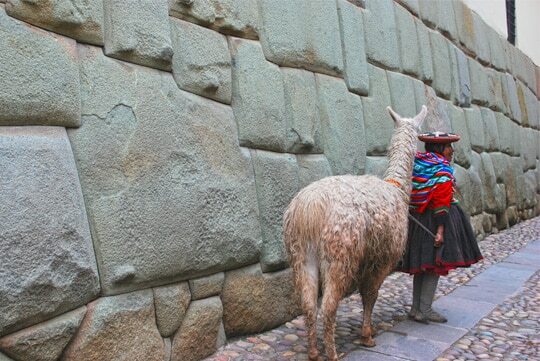 Puca Pucara once safeguarded the city gates of Cusco and also the Fortress of Sacsayhuaman. To finish the tour nicely, we will bring you back to the city centre where you can decide wheather to have dinner or to go back to your hotel and relax.